Whether you’re preparing to return to work or just want to freeze enough milk for emergencies, the idea of pumping and storing your breastmilk can be a bit daunting. How long can I leave breastmilk in the freezer? Is it okay to leave milk in a bottle from one feeding to the next? 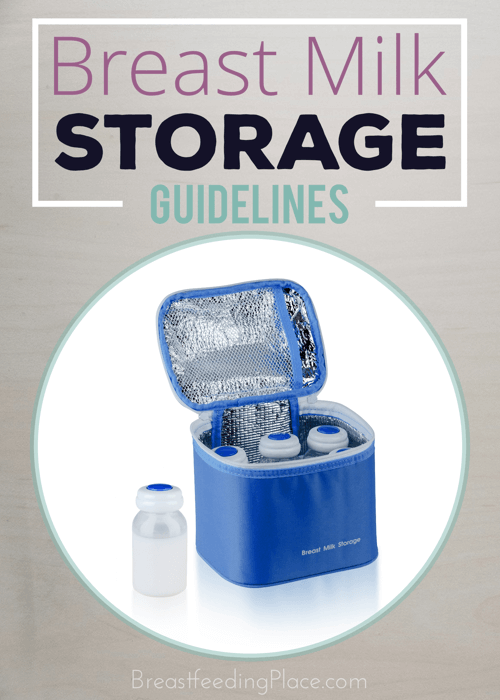 These simple breast milk storage guidelines can help reduce the stress of needing to express and store your breast milk! Room temperature. After expressing your breastmilk, it can safely be left at room temperature for four to six hours. If the room is very warm, it is ideal not to leave your milk out longer than two to three hours, but in a room of average temperature (66 to 78 degrees Fahrenheit), up to six hours is fine! Ice packs. Sometimes while travelling either to and from work, or longer distances that may involve lengthy car rides or flying, it becomes necessary to pack your milk among ice packs. In these situations, milk should not sit for more than 24 hours. Refrigerator. This comes as a surprise to many mothers, but freshly pumped milk stored in the refrigerator can be left for up to a week without any safety concerns! As with other methods of milk storage, the milk will separate and the cream will rise to the top. This is normal and can be resolved by swirling the milk around in the container a bit before heating. Freezer. Breastmilk which is well-sealed and stored in the freezer compartment of a refrigerator can last up to six months, while milk stored in a deep freeze is good for up to a year! After you remove milk from the freezer, it can be used for up to 24 hours after thawing. 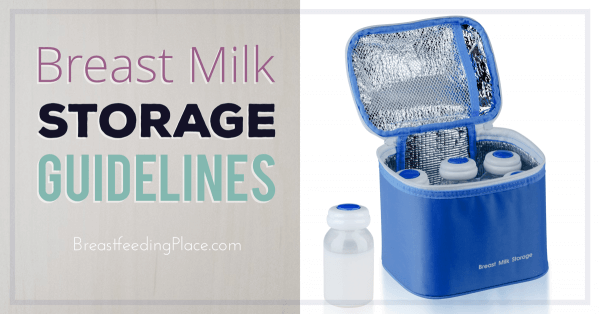 What questions do you have about these breast milk storage guidelines?